In 1888, Norwegian Fridtjof Nansen became the first person to cross Greenland, and he did it on skis. The reports of his expedition created a Norwegian national hero, and aroused great interest in skiing in Europe and the United States. We are not aware of any good ski offers involving Greenland, but you can use the great deals we've rounded up to emulate Fridtjof in the great states of Utah, Idaho, and Colorado. Is It Worth It? : As Irish indie rockers The Divine Comedy once sang, "Idaho.... You are ten times cooler / Than the state of Utah." We don't know if lead singer Neil Hannon is into skiing, but we suspect that Sun Valley would be the place he'd go if he wanted to try it in Idaho. 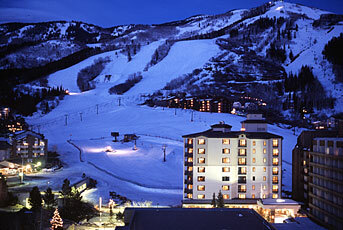 Right now Apple Vacations is offering skiiers a free fourth night stay in Sun Valley. According to Wikipedia, the original Batman, Adam West, has been spotted in Sun Valley — we recommend hitting the slopes in a Robin outfit on the off chance you run into him (he loves that). Book by December 14 for dates through May 31. Lowest price is based on stays beginning on January 2. Some dates may be excluded and additional taxes and fees apply. Is It Worth It? : Utah is a little annoyed with Neil Hannon (see previous entry) and is currently on the hunt for Irish singers to write a response song. None of which has distracted the Beehive State from presenting one of the best locales in the United States for skiing. Stay at one of Utah's Salt Lake City hotels or ski resorts and you can save 25% on regular rates on peak winter dates for Utah destinations, with perks such as daily breakfast, ski passes, parking, and transportation to the mountains. We'd like to spend three nights at Snowbird and receive a three-day tram and chair pass for each adult. Or visit Brian Head Resort, where a stay from Monday through Thursday will be rewarded with two all-day, all-mountain lift passes. Book by December 16 for dates through April 8. Extras vary depending on the resort. Additional taxes and fees apply. Is It Worth It? : Every January, the International Snow Sculpture Championships are held in Breckenridge, Colorado — where sculptors from around the world compete to create works of art from 20-ton blocks of snow. So if you plan a skiing trip to Breckenridge, we recommend timing it to coincide with that — because nothing says "awesome" like a snow sculpture. With Apple Vacations, book four nights in Breckenridge and get the 5th night free. Book by December 14 for dates through April 18. Lowest price is based on stays beginning on January 3. Some dates may be excluded and additional taxes and fees apply. Is It Worth It? : Steamboat, Colorado, is renowned among ski aficionados for its annual Cowboy Downhill event; for 38 years now, 100 of the top professional rodeo cowboys compete in the most enchanting ski rodeo in the country. While this year it happens on January 17, outside the sales window for this deal, the performance is indicative of the charm this town holds. Nestled amid a 6-peak mountain range, this 4-star Sheraton resort allows you to hit the slopes, then relax in one of the hotel's seven rooftop hot tubs. Hurry and book soon! These prices are only valid for stays through December 16. Additional taxes and fees apply. Is It Worth It? : Hit the slopes and don't think about what you paid to get there. With Liftopia, you'll save up to 50% on ski lift tickets throughout the region. We'd like to high-tail it over to Copper Mountain and ski for just $59.99. But in the event of a blizzard, we'll head back in April, when lift tickets are at their lowest for just $49.99. Not interested in Colorado? We also found a sale for up to 25% off Sun Valley lift tickets. Book by December 10 for Colorado tickets and December 15 for Sun Valley tickets. Not finding what you're looking for? Keep an eye on our daily travel deals, as well as our weekly travel roundup, for more discounted vacations, flights, hotels, and more. 1. You can usually get discounted lift tickets to the larger resorts [esp. in Colorado] if you go to a grocery store or other authorized reseller in the region of the resort. In CO, I go to Albertsons to get lift tix. Off slope rental shops frequently have better deals on rental / ticket packages and are really nice if you are not getting rentals thrown in with the lodging. 2. Meet the locals: Employees of resorts often have access to 50% off vouchers for their friends and families. In the past you could buy two of these from a local [for half the the face value] and then use them both to get a 'free' lift ticket. 3. Also consider getting a lesson: Lessons out west usually include a lift ticket. Even better: Instructors can usually print the ticket themselves... So if you tip well, are cool, and the instructor likes you, you just might be able to get them to sell you some tickets under the table. Good tracks to you all!